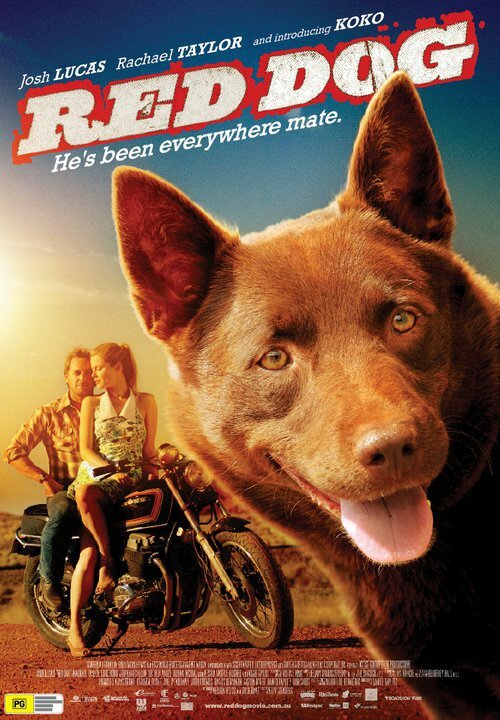 Starring: Josh Lucas, Noah Taylor, Rachael Taylor, Arthur Angel, John Batchelor and introducing Koko as "Red Dog"
In West Australia during the 70s, Thomas (Luke Ford) walks into a bar where the locals are looking after a sick dog. He is told by the publican Jack (Noah Taylor) that it’s no ordinary dog: its Red Dog (played by a hound named Koko). Jack begins to tell his story about how he first met the now mythical Red. Then an Italian man named Vanno (Arthur Angel) shares how he became acquainted with the dog too and how it provided him with some companionship. The men recall how Red Dog embodied such great human qualities that he was made into a union member by the local mining company. And adding to the myth is the story of how Red Dog found his one and only master, John (Josh Lucas) and how he fell in love with Nancy (Rachael Taylor). Second only to Mrs. Carey’s Concert, Red Dog is the best Australian film’s I’ve seen this year. There’s so much to like about this film that any imperfections are swept by the wayside. This film looks outstanding. It’s been sumptuously photographed in South Australia and every shot is filmed with a sense of grandeur. There’s a transcendent beauty about these large, open arid landscapes. They’re dusty, seemingly empty and yet always so attractive on the big screen. 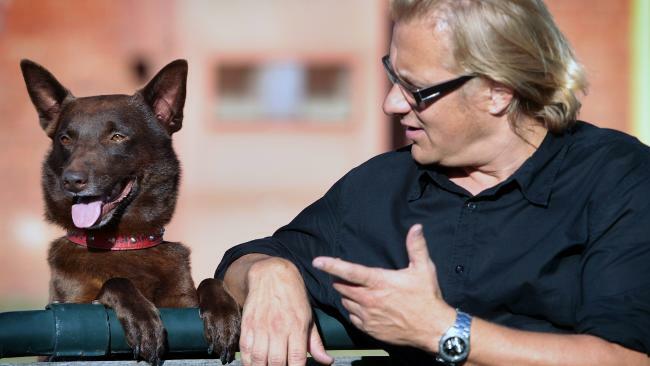 Director Kriv Stenders (Lucky Country) has also structured Red Dog with more confidence than some other local films. It’s framed by the bartender telling the story and then having other people come in and speak. Towards the end, the story continues from the bar and into the future. It’s a very similar device to something like Forrest Gump (1994). Through this unconventional technique a number of different characters and perspectives are voiced. Not all the characters are as stereotypical as they might seem either. There are some funny surprises because Red Dog is a continuously brimming with Australian humour, like when the miner Peeto (John Batchelor) tells Vanno that if he mentions one of his stories again the other miners are going to kill him. I love the film’s emphasis on foreign characters, highlighting Australian diversity, as opposed to having stereotypical blue-collar yahoos. Also impressive is the way that theme and image combines so seamlessly in this film too. One of the highlights is when Vanno meets Red and discovers someone who is willing to talk to him. And this is where Red Dog shows its colours. This dog as a character and an image represents the Australian spirit. That might sound like cornball but it’s actually represented quite subtly, without characters having to announce it verbally. We see it through the images of Red providing companionship, loyalty, and defence to the miners. And we remember these qualities to be traits people like to associate with Australians. This is such a hopeful and positive film. But contrasting the pleasantries is that the film is also deeply moving at times. It’s never sentimental or forced though. It comes through naturally because of the relaxed, colourful and charismatic performances, including Koko who makes for a handsome K9. And on another subtle note, there are several stories told that may or may not be true. But smartly, the film lets you make up your own mind. I love that sort of ambiguity in films. It’s a shame that the ending doesn’t have the same level of poise though. It could have ended just beautifully, with one single image, but it presses its point too far and too obviously. No matter though, because people are still going to find the rest of the film to be proud, funny and moving.